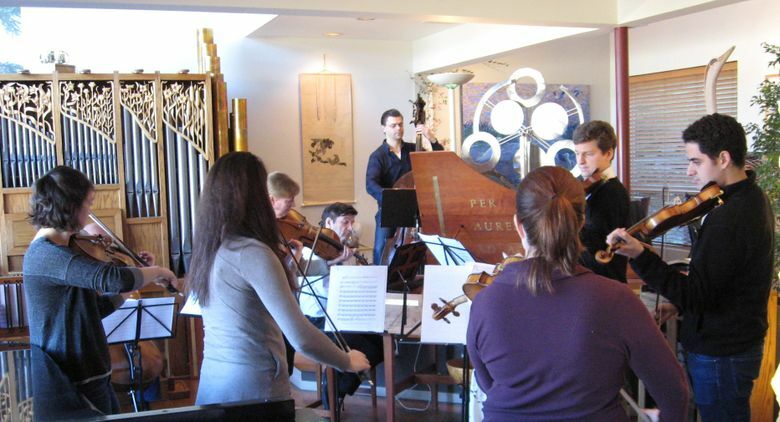 One of the hallmarks of the Seattle Chamber Music Society’s twice-yearly festivals is the placing of musicians in private homes, not hotels. A chef is hired to cook their meals; homes are opened for rehearsals. Meet the woman who helps make it happen. 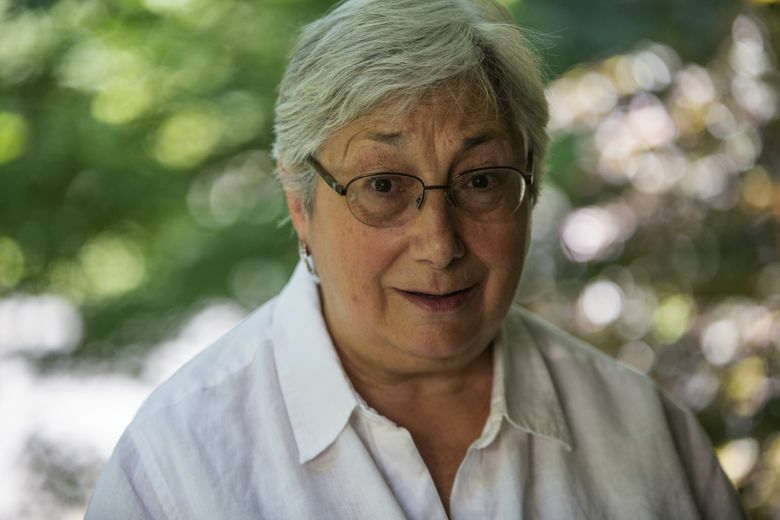 A dozen or so years ago, when the Seattle Chamber Music Society’s (SCMS) Summer Festival was in full swing, Jill Bader had a call from her adult daughter, saying she was making a surprise visit home. July 6-Aug. 1, artists include Jeremy Denk, James Ehnes, Augustin Hadelich, Amy Schwartz Moretti, Nordstrom Recital Hall, Benaroya Hall, Seattle; $48; $30 senior rush 90 minutes before each concert; $16 students (206-283-8710 or seattlechambermusic.org). Notes: Concerts begin at 8 p.m.; free preconcert recitals start at 7. • Each concert will be broadcast live on a rotating basis to neighborhood parks by KING-FM; participating parks are Columbia Park, Volunteer Park and Freeway Park. See website for schedule. • A family concert for kids 5-10 is 11 a.m. July 25 at Benaroya Hall; tickets are $12. • A free outdoor concert of Mozart and Tchaikovsky will be at 7 p.m. July 29 at Volunteer Park. Family activities start at 5:30. From the time it was founded in 1982, SCMS has stood apart from most festivals because it houses out-of-town performers in private homes rather than hotels. Musicians performing in the society’s festivals do much of their rehearsing in private homes and share most of their meals there. One home is designated Dining Central for the length of the festival, and a chef serves lunches and dinners on every rehearsal day — that’s four days a week for five weeks. Home hospitality was built into the festival from the time that cellist Toby Saks (1942-2013) founded it. After joining the music faculty at the University of Washington in 1976, Saks, a former player with the New York Philharmonic, found herself missing some of her musician friends from back East. Throwing a festival was one way to lure them out to Seattle. Bader had attended festival concerts for years but became involved with musician housing only after her children had grown. One of her neighbors in Madison Park, SCMS board member Ruth Gerberding, wife of former UW President William Gerberding, was a host and, summer after summer, Bader could hear string quartet rehearsals in the Gerberdings’ backyard. Eventually Bader joined the SCMS board herself. With her three fellow committee members, she coordinates an operation that poses considerable challenges. It’s a lot of musicians — 47 this year — and matching musicians with appropriate hosts is complicated. Then there are instrument/rehearsal space requirements. Even with hosts who are used to entertaining house guests, Bader tries to make sure they know what to expect. Local musicians often volunteer to house out-of-town performers, a seemingly perfect match. But visiting musicians, Bader points out, “need a certain amount of sound privacy, because they’re doing their own practicing, because they’ve got a lot of music running around in their head.” If their hosts spend a huge amount of home time playing their own piano, that’s a problem. And then there are the allergies. “The cat and dog and bird and bunny thing — yes,” Bader says with a shake of her head. In Bader’s kitchen, every horizontal surface is covered in paperwork, indicating which musicians will stay where. The list of factors to be considered — “fur and feather allergies,” “nondriver,” “need a keyboard,” “slight nut allergy,” “nondriver with fiancée who drives,” “carpet allergies” — is daunting. It’s not just the hosting home that has to be allergy-considerate, but the private-home rehearsal locations, too. The payoff, Bader says, is experiences that couldn’t come your way in any other manner. While some hosts are glad to get back to their normal lives after a festival ends, others feel downright bereft.